These crochet small hearts were also part of my handmade wedding decorations. I made them in 2 complimentary colors, the one was the color of our wedding and the other was the color of my wedding dress. As usual, I chose the yarn first and then worked the pattern to suit my needs. I used them to decorate some of the vases we had outside in our yard, in my parents’ house. 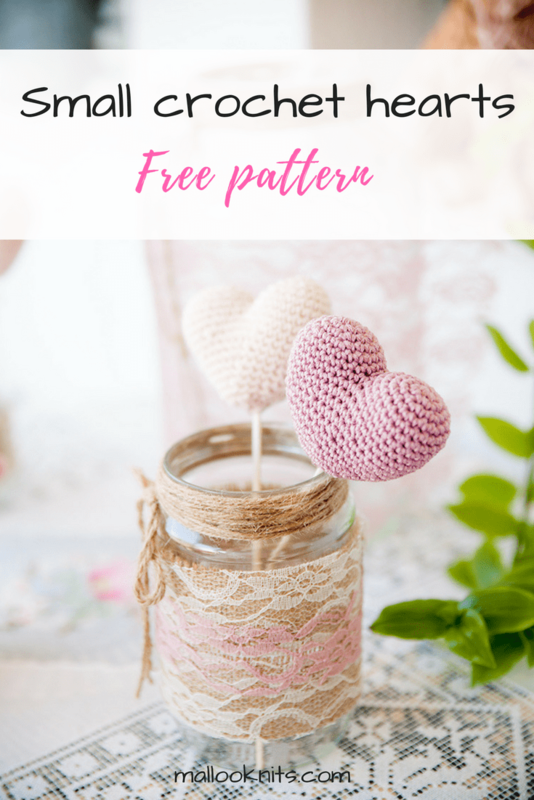 The pattern for these crochet small hearts is a fast and fulfilling project. You can make a bunch of these cuties in an afternoon! They are about 3 inches wide and 2 inches tall. 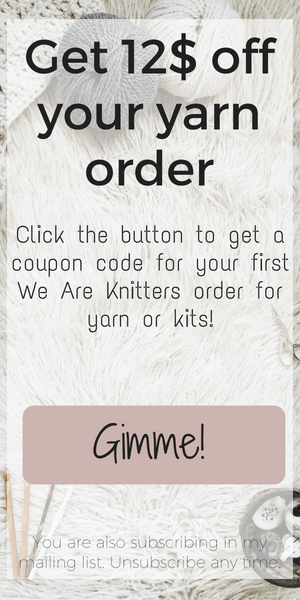 Enlarge loop on your hook, take out your hook, cut your yarn leaving about 6 inches, pull the yarn all the way through. Put that dome aside and work another dome exactly like the first one but this time do not cut the yarn. We will now join the two domes together, so the next round will be a bit more explanatory. Continue working on the second dome that still has the yarn attached. If after this row you can still see some small openings occur, sew them closed with the rest of the yarn and then secure it and it will be hidden on the inside of the heart. You can now stuff your heart with polyester stuffing. Push it with your finger to reach the domes and don’t be afraid to use a lot of it, if you want your heart to look nice and full. Slip stitch, leave a tail about 6 inches (15 cm) long and cut the yarn. At the end take the pointy end of the wooden skewer, apply some school glue or whatever glue you have in the house and push it through the small opening on the bottom of the heart. The glue will stick to the stuffing and it will hold much better. Thread the needle to the yarn tail and sew opening closed around the skewer. That’s it! You are done! 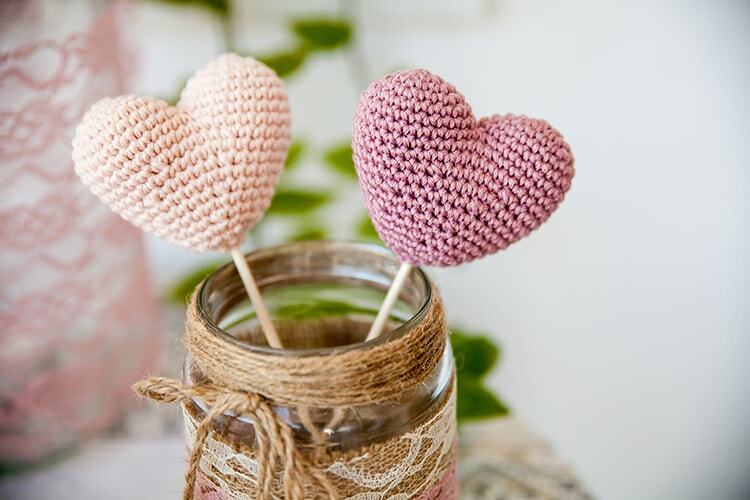 Repeat the process as many times as you want to make enough crochet hearts to fill your home. You can check out my other free pattern for a bigger crochet heart that I made and used as a ring pillow.